I placed my first gumtree advert in February 2012. Before then, I had been baking for my family since the age of 10. I graduated from UCT, with English Literature and Psychology as my majors. I spent 12 years climbing the corporate ladder, getting further Project Management and Process Optimisation qualifications and baking cakes as a hobby. I made sure to attend one cake decorating short course every 6 months to fuel my passion and feed my artistic side. I did several short courses with Chef Gaie Gaag of Silwood Kitchen, Chef Dimo Simatos of the Lindt Studio, and Dorothy Klerck of Eat Cake Party. I have always wanted to do a full Patisserie Diploma as I love anything to do with confections. Since I worked full time and did not have the luxury of time, I opted to obtain the foundation from experts, practice until I got them right, then find my individual style and tackle more challenges with the help of You Tube tutorials. My biggest challenge has been finding a way to leverage all I have to offer in order to establish my place in this industry. It’s been a journey worth embarking on. 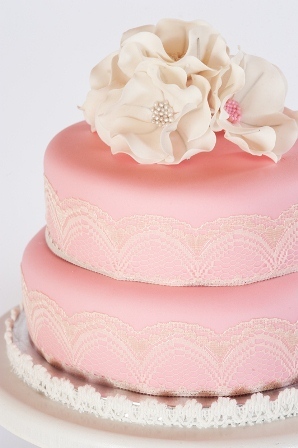 If cake decorating is your hobby, and you would like to charge for your work, then learn how to price properly. To give you an idea, minimum wage in South Africa is approx. R9.40 per hour (R1500 per month). Rather pay yourself minimum wage while you decide what your time is worth than pay yourself nothing until you feel you are more experienced.There are millions of techniques to learn, and there are new techniques being introduced almost daily (even professional cake decorators are always learning), so price properly from scratch so you can afford to learn more (data is king, and data costs).